Apart from the fact that one is a continent and the other a country, Africa is the new China. This seems like an odd idea at first. After all, China has a booming economy, and African countries are poverty-stricken, politically volatile, and unjustifiable business risks. Right? Africa is actually the next frontier in global expansion. Allow me to explain. Pretend for a moment that you’re the CEO of a major American clothing manufacturer. Your company is thriving, but you want to diversify your sourcing chain. You typically outsource this production to Chinese companies, but the current rising energy and human capital costs are slowly eating away at your margins and making it a less attractive option. You want to seek an alternative, but you aren’t quite sure where to turn. My company recently worked with a clothing manufacturer like the one described above. We encouraged the executive team to consider Ethiopia and Kenya as potential places to expand their company’s global footprint. At first, company leaders were skeptical, but we arranged test orders with factories in both countries, and they were elated by the results. Business leaders are only just beginning to see the limitless potential of doing business in Africa. Blinded by misconceptions about political instability, business risks, and skewed valuations, they shy away from setting up shop in countries like Kenya, Ethiopia, and Nigeria. But in reality, these markets offer above-average returns and are no less difficult to operate in than India and other Asian countries. While not all African nations enjoy favourable economic climates and stable governments, several have recently seen peaceful political transitions and are ripe for investment. It’s time for major multinationals to look beyond the negative headlines and see the opportunities they’re missing in Africa. Sub-Saharan Africa boasts some of the most exciting markets in the world, from both consumer and production perspectives. Kenya and Nigeria are on track to become two of the world’s fastest-growing economies this year, and growth in Ethiopia and Rwanda consistently exceeds 4 percent every single year. This development translates to increased consumption power, and Africa’s middle class has actually grown from 27 percent of its total population in 2 000 to 34 percent in 2010. Visit major cities like Lagos, Nairobi, and Kampala, and you’ll find shopping malls springing up everywhere that seek to accommodate these vibrant markets of consumers. The Sub-Saharan region has also drawn an increased amount of foreign direct investment and is currently the site of several developing capital markets. In short, Sub-Saharan Africa offers unique opportunities for companies to establish cost-effective operations and form highly lucrative partnerships in a booming region. A competitive edge: Expanding to Africa isn’t about a first-mover advantage. Your competition is already there! This is all about making a swift, informed, strategic entry into a high-growth, highly competitive market. If you don’t believe me, visit Nairobi and take a look at the local advertising. Google, IBM, Citigroup, and MAC Cosmetics are among several major corporations currently operating there with sizable local teams. Don’t lose valuable competitive ground by overlooking this opportunity. Vital labor: While developed economies grapple with ageing populations and strained workforces, 70 percent of Africa’s population is under 30 years old and ready to work hard. Capitalise on this young, energetic workforce. Consumption power: Consumption is booming in Africa, but it’s still punching in far below its weight due to high, albeit declining, credit costs. As Kenya and other countries tame high interest and commercial bank lending rates, you’ll see a continued explosion in spending power. Africa’s rapidly developing middle class creates excellent market opportunities for ambitious multinationals. If you’re eyeing frontier markets for expansion, Sub-Saharan Africa should jump to the top of your list. Its emerging economies are poised for exponential growth — especially as internet penetration spreads and market stability continues to improve. Africa possesses enormous untapped potential, and those who are willing to invest in these developing and dynamic countries stand to profit handsomely. 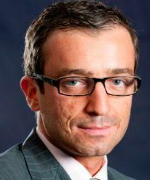 Konstantin Makarov is the managing partner of StratLink Africa. With over 14 experience in financial markets, specifically emerging markets, Konstantin brings a holistic approach that addresses challenges faced by companies, fund managers, and family offices that are operating or considering investing in the emerging and frontier economies.